Rafael et Fils. Funny French spelling for a Napa wine? Perhaps! However I promise you it is not for fanciful purposes. I’m the “fils" (son in French) to Georg and Rosie Rafael. And since they raised me in France and had the foresight to buy land in Napa 30 years ago, it seems only fair to pay a little homage to our European heritage. When I imagine my father, at fifteen years old, leaving his home in Berlin post World War II with just a train ticket in his pocket, I don’t think in his wildest dreams he could have ever foreseen becoming a Napa Valley grape grower. His career journey is a beautiful one - from hotel elevator operator to iconic hotelier. Early along the way he met my mother, who provided the unwavering support that was their foundation. 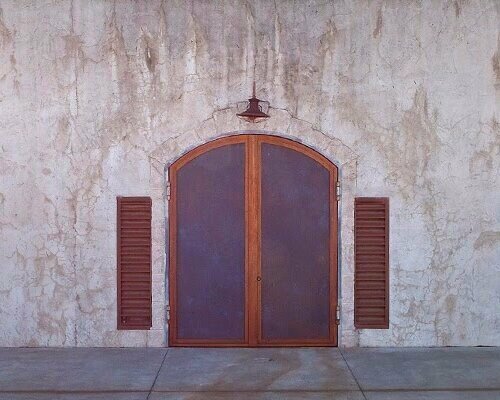 Together they came to America in the 1970s, and were able to discover a Napa Valley still in its infancy. In 1985 an opportunity presented itself to own a magical patch of dirt in the then unnamed Oak Knoll District; 50 acres of former cattle ranching land, so steeply inclined that only 25 acres could be planted. Once planted we began merely as grape growers, selling our fruit to some of Napa’s finest producers. However our own wine brand took a longer time to bear fruition. For such a personal operation we needed a family member on-site, so I moved to Northern California permanently in 2010 to oversee all aspects of the vineyard. Now we are entering a tremendously exciting phase, with stunning new wine labels, and we cannot wait to share our little hidden gem with you. Ours is a small, artisanal, family wine affair with the purpose to under promise and over deliver in every aspect of how we engage in the world of wine. We are inspired by the elegant, more restrained approach to winemaking, still favored in the Old World. The saying may be oft repeated but I’m of the belief that, "wine is made in the vineyard." Thereafter, the hope is to be as non-interventionist and low touch once at the winery. It is a singular focus for us to craft wines of nuance and structure, displaying exquisite depth and concentration, and which can enjoy a long distinguished life. Today we produce just around 1,500 total cases of wine each year, while still continuing to farm a significant share of our estate grown fruit to highly reputed Napa wineries. All three wines are 100% varietally true. 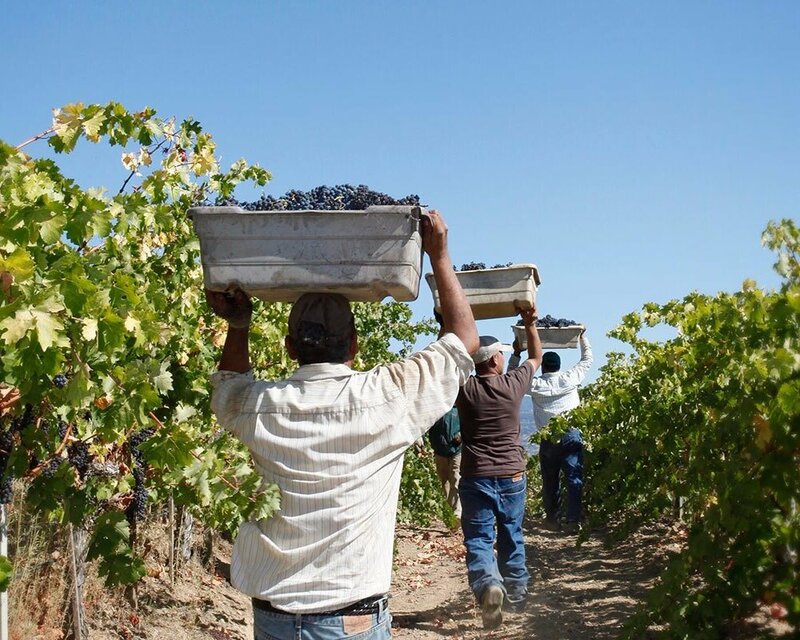 We harvest when the grapes are full flavored, at balanced levels of alcohol and acidity. Both vineyards benefit from cooler climates that allow for slower ripening and excellent integration of flavors, revealing an essential brightness and freshness. Yeast are mostly ambient or very gentle and fermentation happens at its own pace. The highest quality French oak barrels are judiciously used to integrate and build complexity during the development of the wines. We typically also hold back our wines to allow for greater bottle aging and to perfectly complement food upon their release. The labels are inspired around the motif of hieroglyphics and stones, a play on the mineral content in our soil. Both the Chardonnay and Pinot Noir also have special dedications - the Chardonnay ‘Pour Rosie’ to my mother who quite brilliantly requested a couple of acres on our vineyard to be planted to Chardonnay originally, and the Pinot Noir ‘Lauren’s Cuvee’ to the love of my life, a girl that has been incredibly patient and deserves far more than just a dedicated wine label! Imagine a site that enters on the valley floor, with little notion of the beauty that lies ahead. A slender dirt path ascends slowly, alongside Cabernet Sauvignon and Chardonnay vines we planted in the mid 1980s; some gnarly and surly. You continue to snake along and around, as the vines become ever more terraced. Once you reach the top, at around 500 feet elevation, a view of the entire southern Napa Valley to the San Pablo Bay beckons below. Early in the morning hot air balloons spiral around the vineyard, seemingly about to land on the vines, and the bewitching morning fog lingers longer than most other parts of the valley. This is our vineyard of 50 acres, located in the rolling hills of Western Oak Knoll and the shadow of the Mayacamas Mountains. This part of Napa provides world class growing conditions for our two estate grown single varietal wines of Cabernet Sauvignon and Chardonnay. A unique mix of excellent soils in the vineyard is derived from the large Dry Creek alluvial fan. As the earth is porous and drains well, the vineyard roots are forced to extend deep into the ground in search of water, stressing the vine, promoting long term health and contributing to the expressive elegance found in our wines. 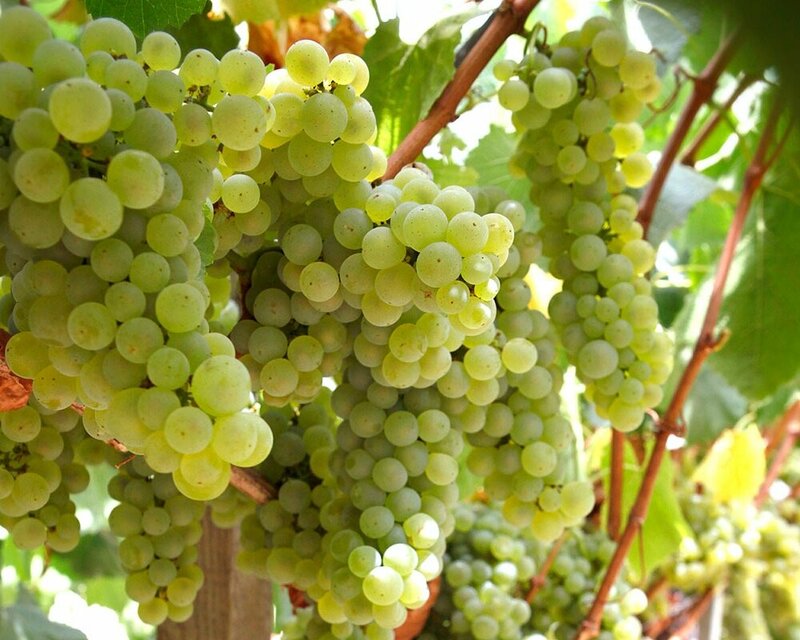 Combined with lower summer temperatures and cooling marine influence of the San Pablo Bay, the result is a longer growing season and ideal grape ripening. This enables our fruit to develop concentrated flavors at ripe sugar levels with refreshing, balancing acidity - essential for the style of wines we produce. Our Pinot Noir, sourced from Donnelly Creek Vineyard, is a very new project. The vineyard however is storied and prized. Mary Elke discovered this site in 1990. 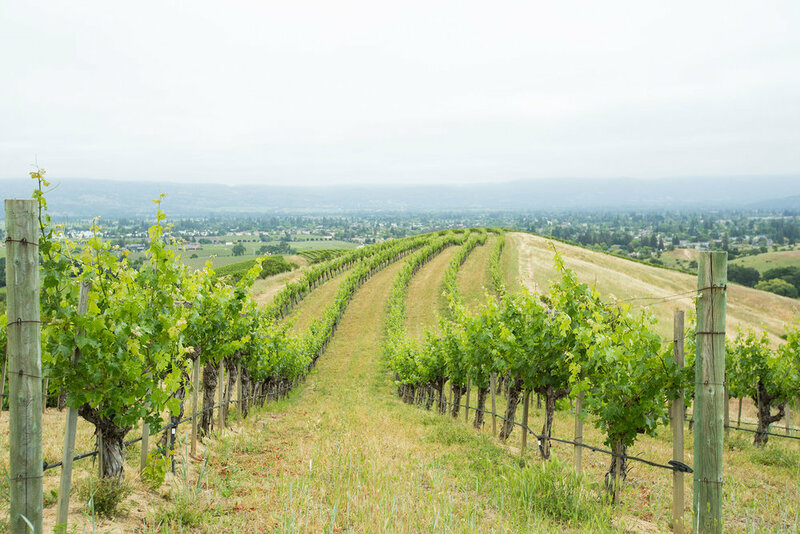 Just west of Boonville and adjacent to Ferrington Vineyard, the over 40 acres of Pinot Noir, Chardonnay and Pinot Gris are planted at the confluence of the Donnelly and Anderson Creeks, on rocky soils that gently slope. Its position allows it to take advantage of the marine-influenced cool temperatures at night, low lying morning fog and long, even growing days. We are fortunate these past few years to have received an infinitesimal mixture of Pommard and Elliott clones, farmed with the greatest love and attention by Mary. The site has a true Burgundian soul, and Mary has established the vineyard as one of the benchmarks in the Anderson Valley. Both the Rafael Vineyard and Donnelly Creek are certified Fish Friendly Farming Vineyards.